Beatdown style workout with your F3 Brothers. No better way to start off a Monday. PAX: 11 – John Henry, Klinger, Splinter, Trinity, Jimmy Dean, Dauber, Cogsworth, Mayor, Cousteau, Bagels, Modell. 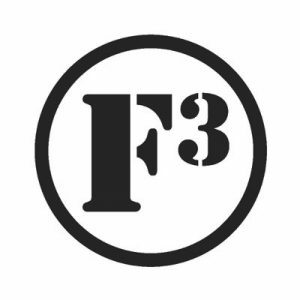 The morning kicked off with F3 principles, a you vs. you affirmation, and group warm up. Into the Spider-Verse is one of my favorite movies…I mean, one of my kids’ favorite movies. The soundtrack is pretty official too, so I thought I’d bring the Spider-Verse to Buddy Bench. COT: COR, NOR, KNOW-YOUR-6, Announce-o-Rama, BOM. Thanks for the opportunity to Q!